The world population is aging and the conditions that require surgery – atherosclerosis, cancer, arthritis, prostatism, cataract, pelvic floor disorders, and others – increase in incidence with increasing age. What do we know about surgery in the elderly that will help us improve our care of these conditions? Six general principles are useful for teaching purposes. These include the fact that the clinical presentation of surgical problems may be subtle or different from that of the general population; the elderly handle stress well but not severe stress due to lack of reserve; preoperative preparation and attention to detail are crucial; when these are lacking, as in emergency surgery, risk dramatically increases; and the results of elective surgery in the elderly are good in many centers and do not support prejudice against advanced age. 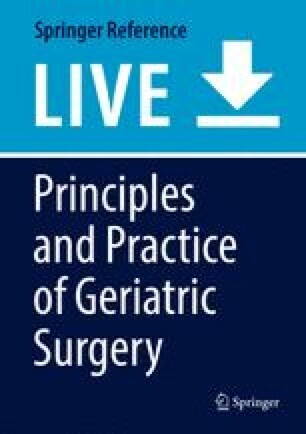 Surgeons must become students of the physiologic changes that occur with aging and, guided by these few principles, apply this knowledge to daily clinical care. We owe it to our elders to become good geriatric surgeons and in so doing we will become better surgeons to patients of all ages.